The motivation and encouragement within a Group Training facility creates a pulsing, upbeat environment where goals are met and exceeded. Training shouldn’t be a chore, it should become a way of life. 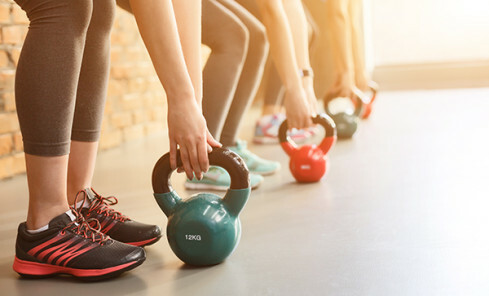 Communities that promote fitness, good health and growth are built inside Group Training facilities and are the source to helping people achieve their fitness goals in the most fun way possible. Finding motivation to go to any type of fitness studio, gym or boot camp can be stressful. For anyone who is coming into a new fitness regime, a good idea is go with someone who is already involved in something. Even if it intimidates you or you feel it may not be for you, you may overcome any anxieties you have by going along with someone who you feel comfortable with and is already familiar with the routine. Finding someone within your social network and joining them in their fitness training regime will help build your confidence and your comfort in that environment. Once you have been in that environment with your friend, co-worker or family member a few times, then that environment becomes your home too. High-Intensity Functional Training is an integration of two popular trends into one fitness. The combination of interval, cardiovascular and strength training has been proven to be the most effective workout method for burning fat, building lean muscle and improving core stability. This method of training in typically found in group training environments meaning not only do you get to train alongside likeminded awesome people, it is actually really fun too .. YES FUN! Team training is so different to training by yourself. So, what is it? High-Intensity Interval Training (HIIT) workouts involve quick, short bursts of exercise and is the best way to burn fat without destroying lean muscle while Functional Training is the engagement in exercises that mimic or recreate everyday movement. Functional Training exercises typically involve the use of your full body and multiple muscle groups. This style of training builds and sculpts lean, functional muscle – Lifting, Squatting, Jumping, Twisting, Pulling, Pushing, Punching, Kicking, Rowing, Biking – all these movements qualify as “Functional”. By mimicking similar movement patterns which we use in our everyday life, we can improve our ability to perform everyday tasks and continue to burn calories up to 24 hours after a workout. High-Intensity Functional Training relates as much to beginners who have done little exercise before as it does to fitness athletes. If you wish to be involved in a fitness community or just have a limited amount of time to exercise but still want to smash out consistent training sessions and enhance your health and fitness as much as you can, then this style of training is for you. One-word Consistency. At the end of the day, if you are staying active on a regular basis, you are going to see results. It’s an everyday thing that you must work at and build into your daily routine. To anyone who wants to gain muscle or lose weight or just become healthier in general, being active is something that you need to tap into every day. If you don’t sacrifice for what you want, what you want becomes the sacrifice.